Need Help with Your Holiday Party? The Mixology Diva will wow your guests with specialty and craft cocktails, professional and friendly bartending service at your next event. Proven reputation as a mixology expert with over 20 years of experience. Offering friendly attitude and professional service for all events and occasions. Expert knowledge of food, cocktails and wine. 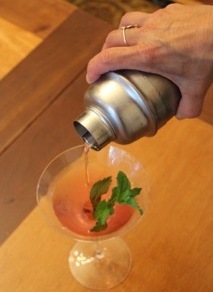 Is able to create specialty cocktails for your special event. Can create simple syrups, shrubs and purees for specialty cocktails. Knows how to plan, order and shop for wine, beer and alcohol. Managerial skills and expertise in both the restaurant and the catering industry. Able to efficiently handle all situations. Able and willing to do set-up, clean-up and break-down of events. Knows how to decorate for themed events by arranging flowers and decorative items. Will travel the Greater Boston area. Let me help plan your next party or event so you can relax and enjoy yourself!